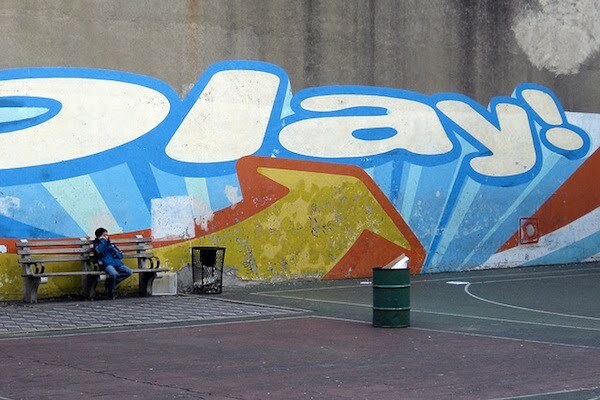 Animal New York reports that the PLAY mural at the DeSlavio Playground in Little Italy was buffed by the City after being cited as Graffiti. The resulting grey wall is an eyesore and the dilapidated mural reminding people what the park was there for is a great loss. Oddly the mural was neither graffiti or art but a company logo for a music centric promotions group PLAY. As much as I hate hearing this, the mural fits all of my standards for appropriate commercial use of public space and was a welcome addition to the small concrete respite. See the Animal article and read the comments for more.